This is the first of many passing patterns that Barcelona uses on a regular basis. With every passing pattern it is important that all passes are hit firm, balls are played to the correct receiving foot, players pop off the cones or mannequins, eye contact is made between passer and receiver and inside of foot receiving and passing are trained. This book has 25+ Barcelona Training Ground Exercises! Be sure to pick up your copy! Will be out June 20th, 2015. 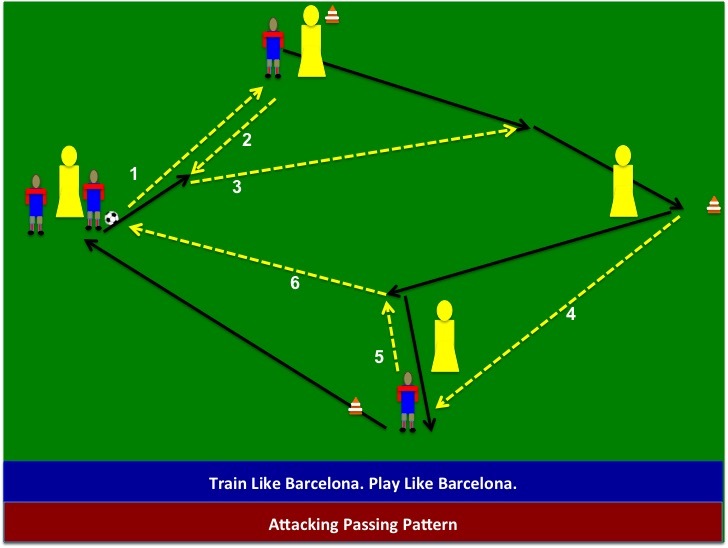 Previous Post Barcelona Dynamic Crossing & Finishing: My New Book ” Train Like Barcelona. Play Like Barcelona” – Coming June 20th!